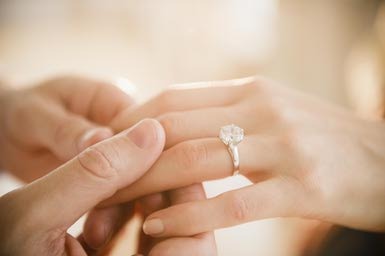 How to behave properly since engagement until marriage? These days I have recieved a message from a visitor of the portal Moldova Creștină where I am asked how it is proper for the fiance and fiancee to behave since engagemant until the wedding? In this article I want to present the theaching of the Word of God on this subject. While studing the Bible you can come across a lot of questions, or while you prepare for the wedding, of course you will have a lot of questions at which you don’t know the answer. That’s why, it is wise to ask for this premarital advice, which is very important, from the priest who will officiate your marriage ceremony. I have done this premarital advice with all couples to which I have officiated the marriage ceremony (the official ceremony of entering in the covenant of marriage) and every time I understood more and more how important it is to continue to do this thing further on. All couples to which I have officiated the wedding ceremony, came to me later to thank me for those disscusions and advice that I had given to them and that helped them to lay a good foundation of their beautiful relationship that they have at the moment. I say all these things to encourage both the engaged ones to ask for this advice and the priests to insist to give it. It is important to do this together and in the same way to work together to realize your plans. There is an extremely important thing that needs to be planned in engagement – THE WEDDING TRIP. I am going to come on with a new article to explain why it is so important from the Bible’s point of view to have the wedding trip or the honey moon. Even if you are very limited by money, you must by all means put aside money and time to have this trip. Taking into consideration all the above mentioned points, it is important to make shorter the time that has to pass since engagement until the wedding. May God bless you and Christ, His Son be in you and in you and in your relationship in the period until wedding and then in the relation husband-wife.